The following is a reposted article originally from PASTE Magazine written by Nevena Bosnic. With crowds present at all hours of the day, the main, limestone-paved street of Stradun proves that Dubrovnik is one of the most popular and attractive coastal cities in the world. Walk the historical stone walls and overlook the red-tiled roofs of the city’s homes, while also identifying key locations from the hit series Game of Thrones(King’s Landing ). Dubrovnik’s spectacular beaches, deep blue sea, rich cultural heritage, and unforgettable nightlife await you. Search Dubrovnik tours. It comes as no surprise that Kotor is often listed as a top, summer tourist destination. Located in a secluded section of the Gulf of Kotor near the limestone cliffs of Mount Lovcen, Kotor’s Old Town was built between the 12th and 14th centuries and is a UNESCO World Heritage Site. With its narrow streets and fascinating squares, churches and palaces, Kotor is an absolute must see. Hike the approximately 1,350 steps to the Castle of St. John for an unforgettable bird’s-eye-view of the Old Town of Kotor. Search Kotortours. The southern coastal town of Sarandë is one of the most popular summer destinations along the Albanian Riviera. Situated a short distance from the Greek island of Corfu, Sarandë offers pebbly beaches with beautiful and clear, turquoise waters. You can stroll along the extensive promenade by the sea, or visit the nearby remains of the ancient city of Butrint , a UNESCO World Heritage site, and the Blue Eye Spring. Search Albania tours. Hvar’s reputation as a party town, with its all-night discos, draws tens of thousands of visitors per day during the summer season. Located on Croatia’s most popular island – often called the “island of lavender” – Hvar has quaint, winding stone streets leading to St. Stephen’s Square. Its port is packed with large yachts, attracting elite from around the world visiting the Adriatic destination, while also catering to budget-conscience visitors. This is why you should check out the “sunniest island in Europe” for yourself. Search Hvar tours. The epicenter of Montenegrin tourism, Budva offers everything from natural beauty; stunning islands, beaches, and resorts; and rich history. Its 21-km coast offers 17 exquisite beaches and a notable nightlife satisfying everyone from the rich and famous to the prudent backpacker. Budva’s Old Town is one of the oldest urban centers on the Adriatic with numerous historic and religious monuments, shops, galleries, restaurants and cafés. You can also visit the nearby islands of Sveti Stefan (summer resort) and Sveti Nikola, known locally as Hawaii. Search Montenegro tours. 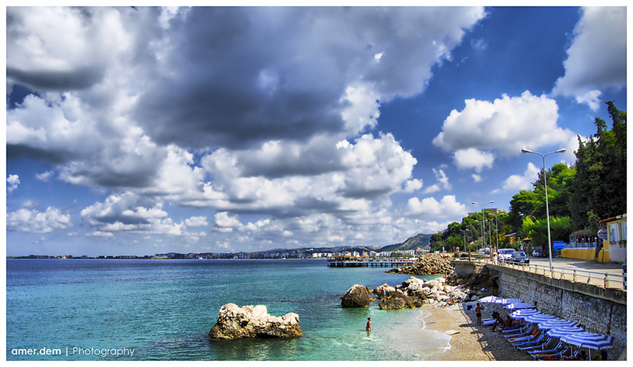 Durrës is Albania’s main port city and also one of the most historically significant. It is practically a coastal appendage of Tirana, while also offering various cultural attractions. The most important site, the city’s Amphitheater , also happens to be the largest in the Balkans and dates back to the 2nd Century. Located in the city’s center, the Amphitheater once held around 15,000 spectators. Search Albania tours. The island of Pag’s long running traditions of harvesting olives, producing lace, and cheese-making attract cultural aficionados from around the world. However, Pag has recently boomed in popularity as one of the top clubbing spots in Croatia, most notably the island’s Zrce beach. Despite the many visitors eager to experience the island’s party scene, Pag is also home to a Roman aqueduct, which once supplied the town with water. Known locally as the Talijanova buža, or “Italian hole,” this remarkable engineering feat dates back to the 1st Century! Search Pag tours. The popular, southwestern coast resort of Vlorë sits at the junction of the Adriatic and Ionian Seas. Long known for its olive production, Vlorë is home to many significant historic sites, including the Albanian Independence Proclamation Building (where Albania declared independence in 1912), Flag Square, Ethnographic Museum, Historic Museum, and the Mosque of Muradie. Near Vlorë is Albanian’s largest island of Sazan, a former military facility with secret bunkers and tunnels designed to withstand nuclear attack, which opened its secluded beaches and sites to the public in 2015. Search Albania tours. The charming port city of Split is also the largest on the Adriatic coast. Home to Diocletian's Palace , built for the Roman emperor in 305, Split has transformed from a transit point to a buzzing, tourist destination. The Bell Tower of the 4th Century Cathedral of St. Domnius offers jaw-dropping views of the city, but climbing to the top is not for the faint of heart! Split also offers a host of outdoor sports and activities including canyoning, rafting, sea kayaking, snorkeling, and wine tasting! Search Split tours. Once an industrial city for ship repair, Tivat has transformed into an elite summer resort where A-list, Hollywood stars spend their holidays. 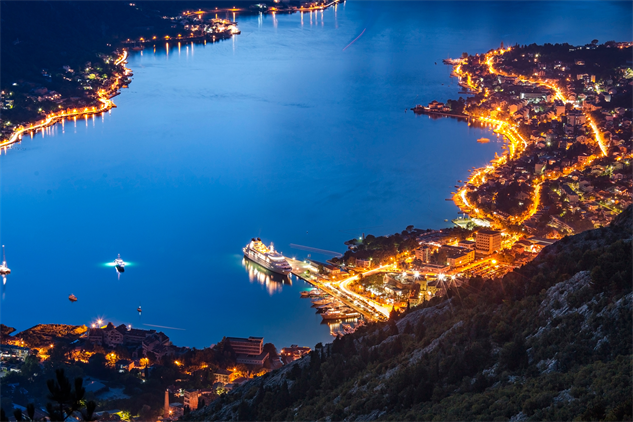 Tivat has become a Mediterranean hot spot since the debut of Porto Montenegro, a development project that brought a new modern marina for luxury yachts to the town. You’ll quickly come to realize why it is called the Montenegrin Monaco. Search Montenegro tours. 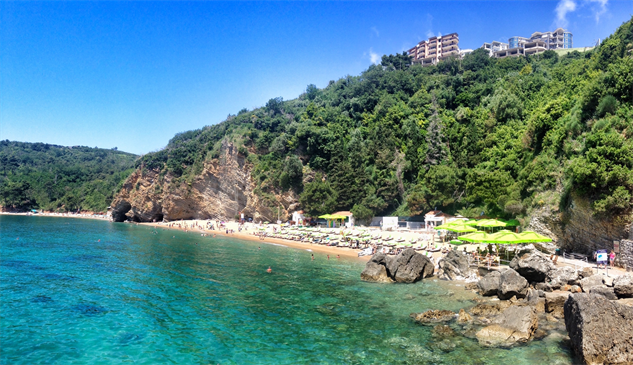 Just in case you’re still on the fence about going to the Balkans for your next beach getaway, take a moment to come to your senses. It may make the difference between having a ho-hum holiday or an epic vacation. This corner of Southeast Europe is not only the new adventure travel haven on the continent, it has arguably its best coastline. Why are these patches of shoreline the best on the continent? They are isolated, they are still chock full of Old World charm, and have food that other, more touristy locales, could only imagine. Whether you’re looking for an extravagant blowout or budget-friendly seclusion, you will find something that accommodates you at these top 10 seaside destinations in the Western Balkan countries of Albania, Croatia and Montenegro. Take a tour with our friends from Balkan Vibe, the region’s premier travel platform—offering the widest range of tours, a seamless booking, and a credit-card payment system. Nevena Bosnic is the co-founder and business development manager at Balkanvibe. She is also a first-generation American—now living in Sarajevo—passionate about exploring, maintaining and investing in her Balkan roots.